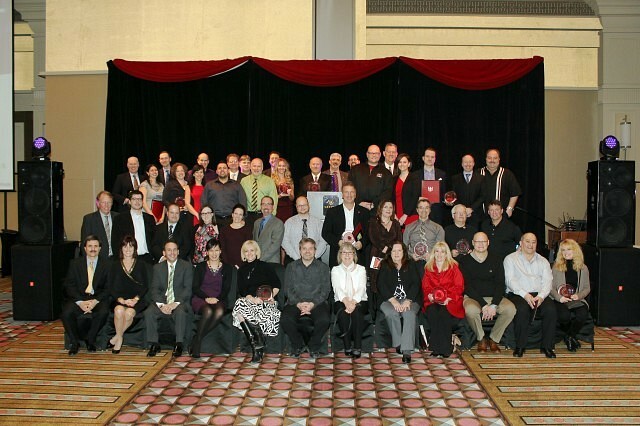 Earlier in the week, the United Way/Centraide Windsor-Essex County honoured some of its most generous and dedicated supporters and the recipients of the 2013 I Believe in My Community Awards. These prestigious awards are presented annually to workplaces, unions and individuals for outstanding contributions to the community through United Way. Awards were presented to local organizations in recognition of their commitment to the community through United Way. They were Dakkota Integrated Systems, Tregaskiss, Caesars Windsor, Reliance Home Comfort, Conseil Scolaire Catholique Providence, TransAlta Cogeneration L.P., Valiant Machine & Tool, Green Shield Canada, The Job Shoppe, Farrow, Windsor Mold Group, Chrysler Canada, CUPE Local 4299, and Unifor Locals 444, 1999 and 240. During the event, Windsor Mold Group, Unifor Local 444 and Farrow were recognized with special awards for leadership and support of United Way. Additionally, Chrysler Canada and Unifor received the United Way ‘Thanks a Million’ Award in recognition of giving over one million dollars to United Way Campaigns across Canada.